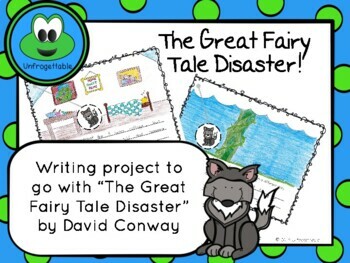 This project is designed to go with the book “The Great Fairy Tale Disaster” by David Conway, but can be used as a great wrap up project for any fairy tale unit! 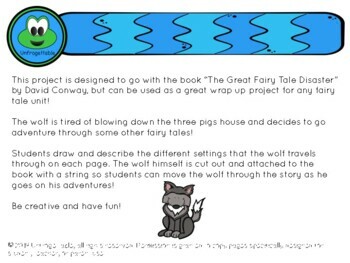 The wolf is tired of blowing down the three pigs house and decides to go adventure through some other fairy tales! 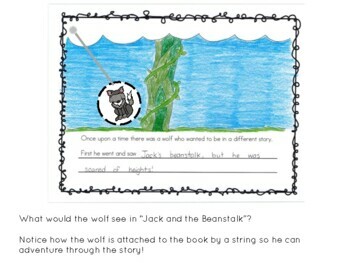 Students draw and describe the different settings that the wolf travels through on each page. 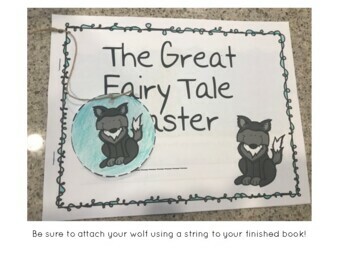 The wolf himself is cut out and attached to the book with a string so students can move the wolf through the story as he goes on his adventures!